Administrative and Public Law, Appeals, Arbitration, Commercial Law, Company Law, Constitutional Law, Engineering and Construction Disputes, Equity, Partnerships and Trusts, Human Rights, injunctions, Insolvency, Insurance, Professional Services, negligence, Real Property, Trade Practices and Work Health. 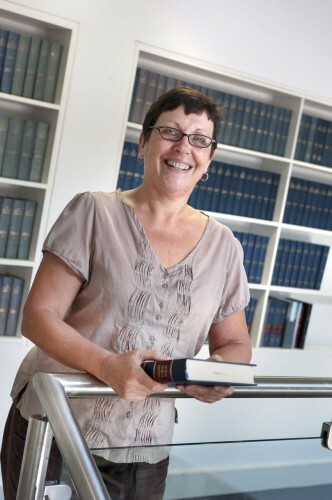 Kerry commenced full time work as a law clerk in 1986 in Sydney. Her first work involved personal claims for plaintiffs and workers. She practised as a solicitor for 13 years, predominantly in the area of personal injuries, and appearing regularly as an advocate. In 1999 she joined the NSW Bar and practised as a barrister appearing regularly in courts at all levels, predominantly in personal injuries claims. Kerry moved to the Northern Territory in 2006 where initially she worked as a senior litigation solicitor with Ward Keller again in personal injury claims but also in other areas including claims by Indonesian fisherman for damages for wrongful destruction of their fishing vessel. She joined Minter Ellison in January 2009 as a senior litigation solicitor and practised in building and construction matters, general commercial litigation, administrative law, equity, personal injuries and work health matters. She joined the Northern Territory Bar in 2011.